Over the past month, I’ve been brainstorming ways to keep the site engaging, relevant, and unique (because there’s something like 20,000 food blogs out there- slightly overwhelming.) When I first started really diving into blogging, I focused on the produce, the CSA, and everything that came with those two things. 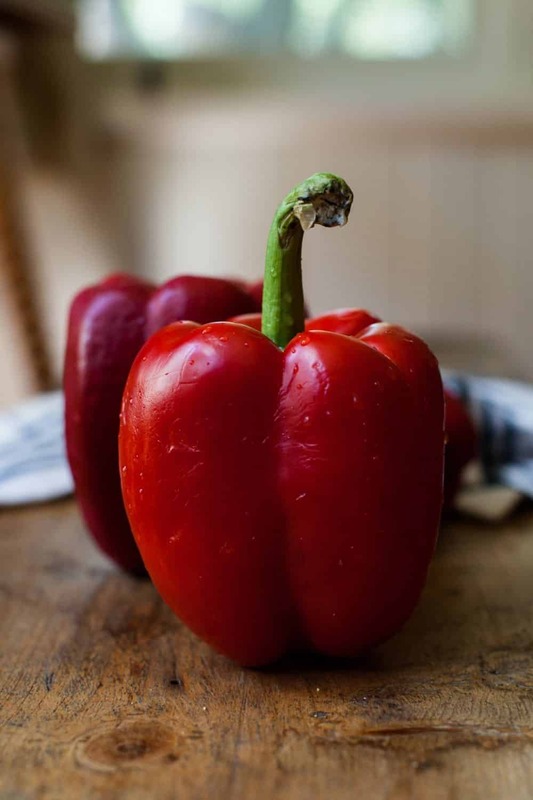 The blog, while still extremely vegetable-centric, has lost a bit of what kept it fun for me and so, I’ve set out to switch it up a bit by adding a few new series to the blog. You might be thinking, “she tried this already or promised this already, but we haven’t seen anything!” This statement, is true. I started a base series back in the fall but after one post, realized how awesome of a book it could potentially make (which, I can attest, it has- that book is currently in the editing phase and due out next spring.) I promised videos and more kitchen gadget post, but those just went out the window (I’m not a video kind of gal, yet.) And so, that left me back to a some-what blank drawing board except I know, I love produce and I love a good challenge. So here’s what to expect from this site moving forward. No big changes, recipes are still going to be inline with what I’ve been doing, but I’ve got a few new series worked out (with one series that I need your input!) I’m planning on more, honest cookbook reviews (because there are SO many wonderful books out there and I’m still a book fiend) as well as working up some very basic meal plans based on what happens to be at the market any particular week. I’d also like to start doing a few farm tours (because when you live in the California Central Valley, it seems silly not to highlight the wonderful farms.) The ingredient (seasonal + bulk bin) sections are going to be slowly updated and moved into posts where I’ll be highlighting a weekly ingredient along with a few ideas/recipes. And finally: an ingredient challenge series! I’m really excited about all of this and my hope is that it inspires you even more! Bring the water, broth and salt to a boil. Stir in polenta; cook until polenta begins to thicken. Cover and reduce heat to lowest setting. Simmer polenta for 25 to 30 minutes, stirring and scraping the pan bottom and sides every 8 to 10 minutes. Remove from heat and stir in butter. Preheat grill. Slice the zucchini and pepper into strips; toss with oil and curry powder. Grill until zucchini and peppers are slightly charred, 3 to 5 minutes per side. Roughly chop the vegetables and toss them with the chickpeas. Divide polenta among individual serving bowls. Top with grilled vegetables, cilantro and feta. *Easily made vegan by leaving off the feta cheese and subbing in you favorite substitute for butter. 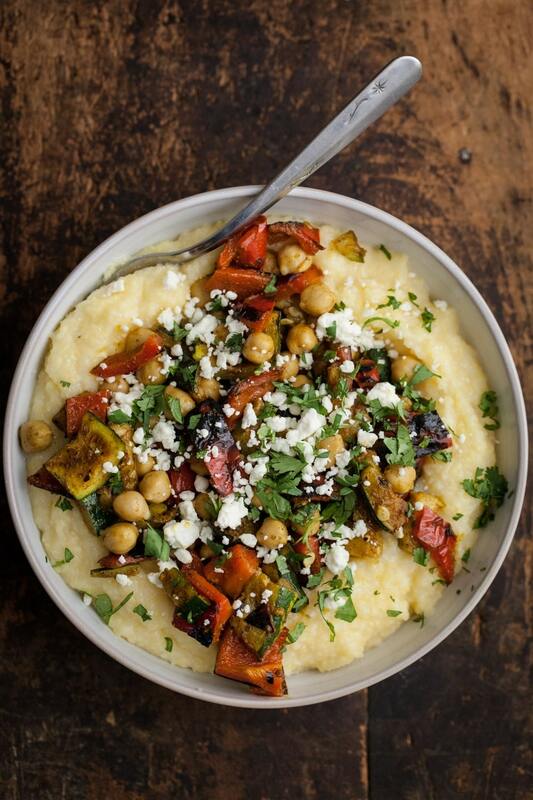 I just adore vegetables+polenta dishes. This one looks exceptional! Your new series sounds fun, too. I love curry flavored anything – sounds awesome! This sounds wonderful! Can you please try to include recipes for grilling (as you did here) or stove top because I am sure there are many others like me who don’t have AC and don’t turn on ovens in summer but then want lots of soup recipes come fall. 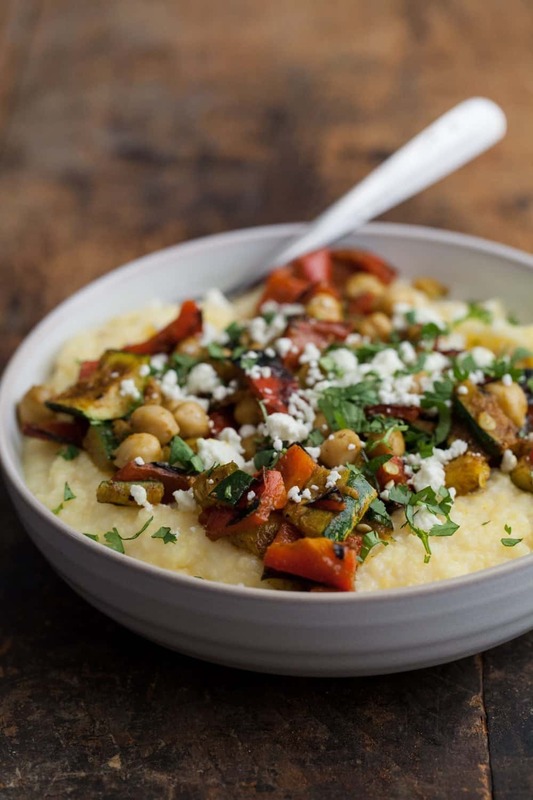 A new vegan bar recently opened up in Philly, and its creamy polenta dish with roasted heirloom veggies became the most memorable, even amongst the more complex ideas. I’ve been dying to recreate it ever since. 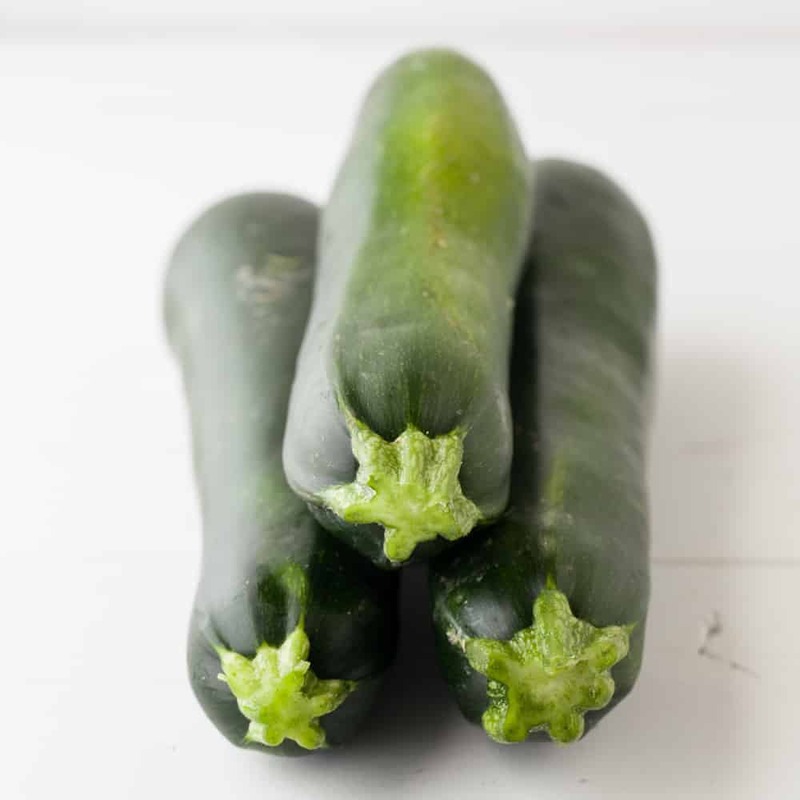 Like this zucchini idea, and would love to throw some tomatoes in there too. Thanks for the inspiring photos! Challenge idea sounds fun, too! What a fun idea. Constantly reimagining things to keep the blog/worklife inspiring and fun is always a good idea. And how to have other people help get your wheels turning! I can’t wait to see how you pull this all together. And I’m especially looking forward to your bulk bin updates! What an interesting idea for a post series! I love it. And that polenta and veg looks just beautiful. 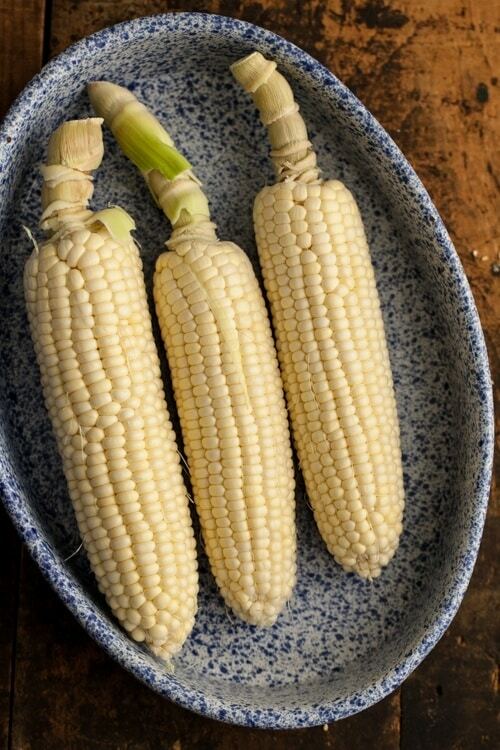 Definitely perfect for eating all the fresh summer veg! I have not used polenta much, but I am going to now. Wow, this looks so delicious! The polenta dish looks delicious. I’m so excited for your new blog plans and book! 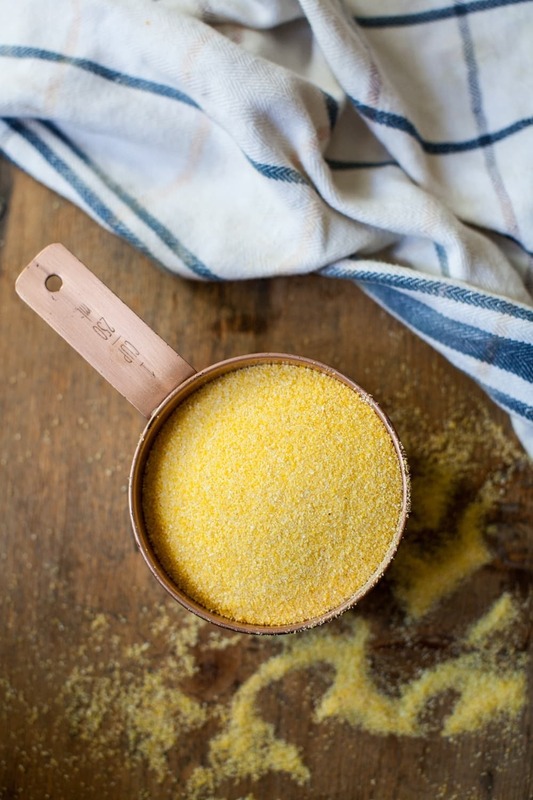 This recipe sounds like a great way to get me to like polenta – my prior experiences with it have been less than satisfactory. And I love the idea for your new series. 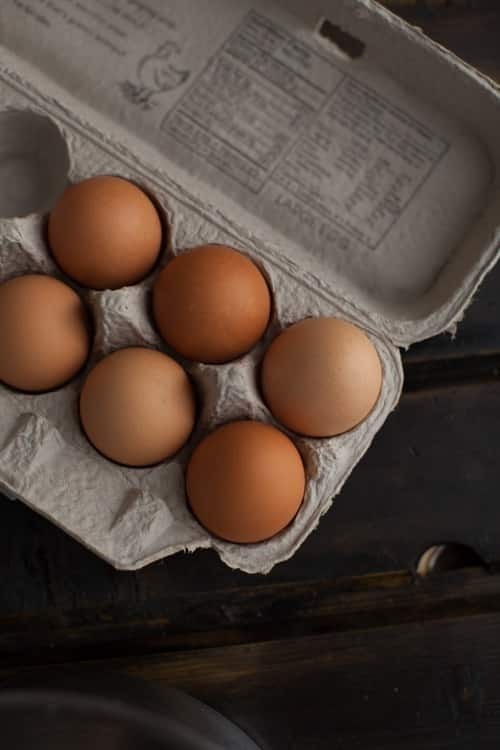 It’s a great way to keep your creativity flowing, and I’m thinking that I’ll be able to learn to look at ingredients in new ways – which means your creativity will help mine. For that I thank you, and I’m really looking forward to seeing what you come up with. I just made this wonderful recipe without making the polenta. The chickpeas with the grilled vegetables are the perfect combinations, instead of feta cheese i used greek yogurt as sauce the result was amazing! Thank you. Sonia from Greece. This is going to be SO much fun!!! I cannot wait to see the ingredients your readers share. 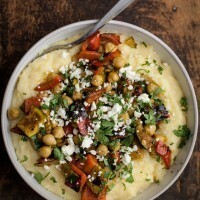 This polenta dish sounds amazing too!!!! This looks incredible. I’m definitely giving it a try!! Can’t wait to see what these changes have in store for us! I’m sure lots of continued deliciousness. I am such a sucker for anything served over polenta…and curry never fails to please either! Definitely going to try this and I believe I will add a small eggplant to bulk up the veggies. Do you think shredded fontina or another cheese would go well in the polenta, instead of the feta? Thanks for the beautiful recipes! anything to replace the dairy with? I don’t do butter or cheese but love the idea of this. Maybe just leave out the butter/cheese and add a couple splashes of coconut milk to add a bit of creaminess in the polenta! I tried this recipe recently and fell in love with it. My husband loved it as well! He said he didn’t miss the meat. Thanks so much for sharing it! Wonderful to hear, especially that your husband loved them! I can’t wait to make this recipe for dinner this weekend! I found it on Pinterest and have already placed the ingredients on my grocery list. Overall, I thought the recipe was pretty good. The polenta was great-I am going to save this to use in later recipes. I cooked the chickpeas with chipotle peppers, and that gave the dish a nice smoky flavor. The only critique I have is that it needs more salt and pepper/came off as needing a little something extra. Otherwise, great find! We enjoyed this tonight! We added a diced up sweet potato to the mix of (roasted in the oven – it’s too cold outside for the grill) vegetables. I will add more spice to the veg next time, though. 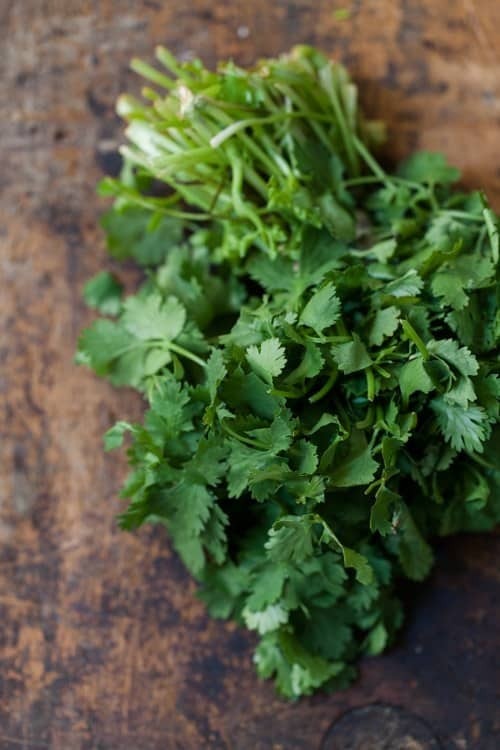 I’m also inspired to try the same basic dish with slightly different spice blends for a southwest or Mediterranean take on it. Excellent! Love this! I’m thinking about adding some crumbled pita chips for crunch, just because a lot of the ingredients end up being the same texture. Do you have any other suggestions? Maybe toasted pine nuts? I think toasted pine nuts would be an excellent addition! We actually made this for dinner tonight, it was so simple. This was so delicious and very wholesome. We replaced the butter with Thai Coconut Milk. We also added a bit of curry and some turmeric to the polenta. Thank you for this recipe, definitely making this again and again. This recipe is so good! The only chamge i made was i baked the veggies and chick peas in the oven and added some tomatoes. I ate a second portion because it is so good!